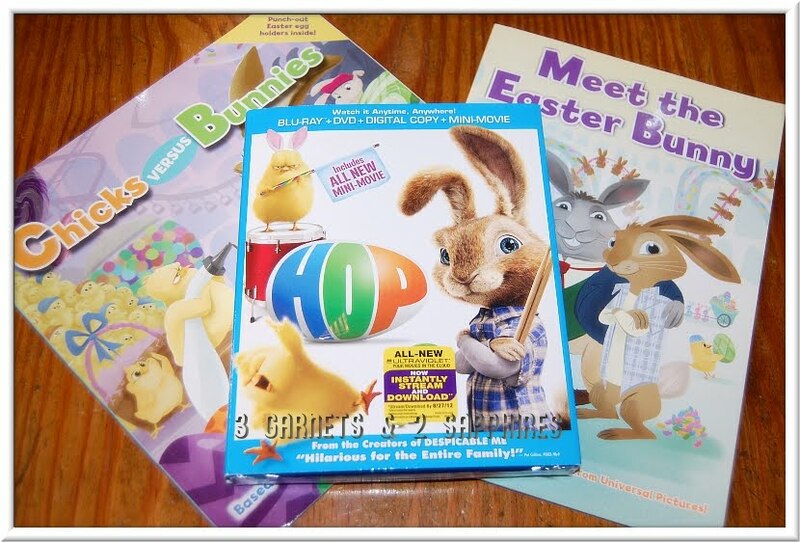 For those who like to plan family movie nights with their children, the recent release of the movie HOP on DVD, Blu-ray, and digital download may inspire you to go one step further. 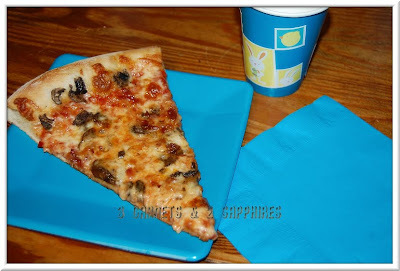 I had an enormous amount of fun planning a mini viewing party for my family and our children just loved having something a little different than the usual popcorn and a movie. 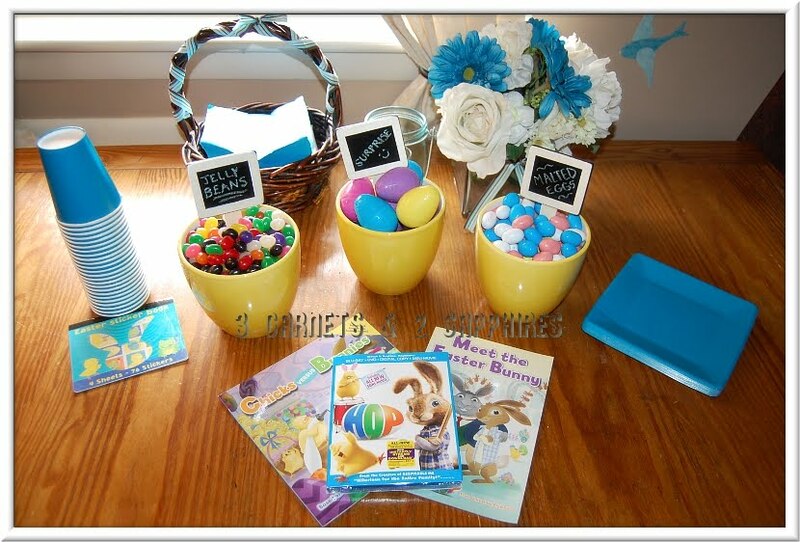 If you would like to do something special this year with your children for Easter, I have shared my easy low-cost party ideas below. 8 Things You'll Need for a Fun HOP Viewing Party . . .
2. Easter Bunny-themed books - HOP: Chicks Versus Bunnies and HOP: Meet the Easter Bunny are the perfect titles to include in your viewing party. They can be used for a short storytime before the movie begins or to use as a special bedtime story later that night after the party. 3. An assortment of Easter candy - The candy factory on Easter Island in the film HOP will surely impress your children. They will likely recognize some of their favorite candies in the movie, so it would be fun to serve at least some of the candy seen in the film. I used ceramic flower pots (just $2.50 each at Target) and chalkboard plant markers (only $1.00 each at Target) to create a candy display. I lined each pot with wax paper since I was not sure if they were safe for serving food. 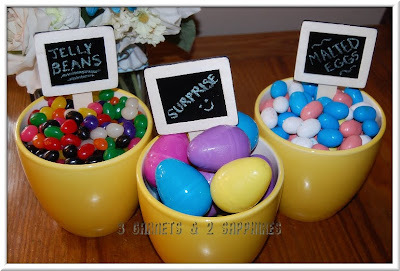 The selection of candy I chose to include were classic jelly beans, Hershey's Assorted Filled Easter Eggs (filled with Hershey's Kisses, Mini Peanut Butter Cups, Cadbury Mini Eggs, and more), and Whoppers Malted Robin Eggs. 4. 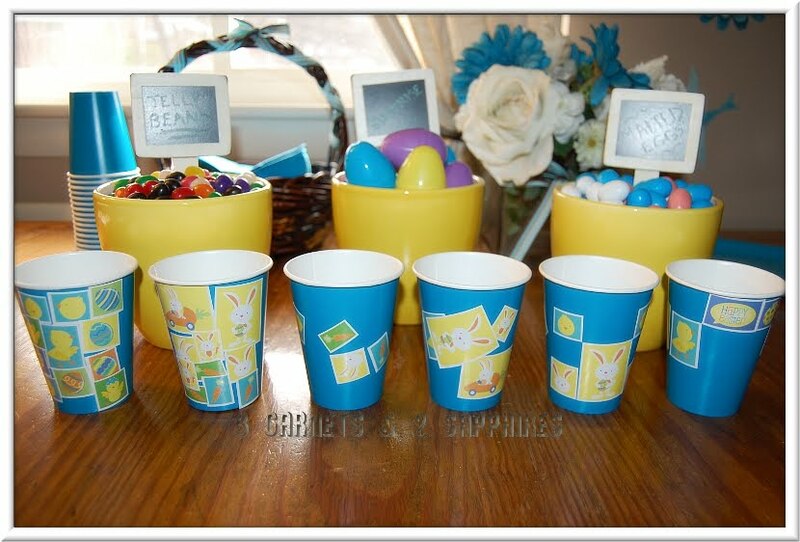 An easy Easter-themed sticker craft - We had our children decorate two paper cups each . . . one for their beverage and one to hold their candy during the movie. You can find pads of Easter stickers for about $1 each at A.C. Moore or Target's dollar section. 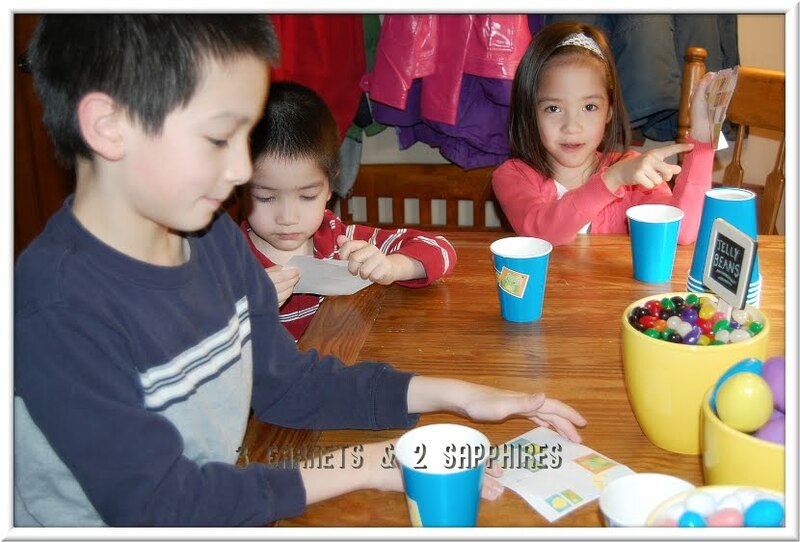 Our children had lots of fun with this easy mess-free activity and could not wait to fill their cups with candy. 5. Pizza with your guests' favorite toppings - We opted to serve pizza because it is something that everyone likes and the children usually eat it fairy quickly. They each only ate one slice because they wanted to leave room in their bellies for treats during the movie. 6. Lots of balloons - An inexpensive way to create a party atmosphere is to use lots of balloons when decorating. We only needed a manual balloon pump (like the ones used to make balloon animals), balloons, and curling ribbon. 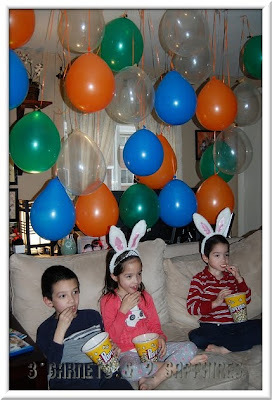 Then we used transparent tape and hung the balloons over the viewing area from the ceiling. We also put some balloons around and above the television. 7. Bunny ears - What party would be complete without some kind of party favor? Bunny ears would make great favors for younger children to have as a keepsake of the event. Our 8 year old son did not wear his during the movie, but our preschoolers loved them. 8. Freshly popped popcorn - I served movie theater butter microwave popcorn in reusable plastic popcorn tubs I had purchased from iParty last year to use during our family movie nights. I wanted to make sure the children were full on popcorn before I let them loose on their cups filled with candy. Of our 3 children, our 8 year old son enjoyed the movie the most. I heard him laugh out loud on many occasion, such as when E.B. demonstrates how he can product jelly beans. This film does contain live action and quite a bit of dialogue, so it did not hold our preschoolers' attention during some parts. Still, everyone had a very fun time at our viewing party. Visit www.HopMovie.com and HOP on Facebook to learn more about this film. Also, remember to checkout the limited time special offers from select retailers of HOP on Blu-ray/DVD. Thank you to Universal Studios Home Entertainment for providing a complimentary copy of the movie, books, party supplies and, a gift card to help us plan our viewing party.